The cover carries an old picture of the First Lady dressed extravagantly, "eating diamonds". Regardless of what everybody feels about US President Donald Trump, one has to agree that his wife Melania is an unfortunate victim of vicarious anger. The First Lady, who has been a vocal critic of cyberbullying, has now found herself in the eye of another storm. 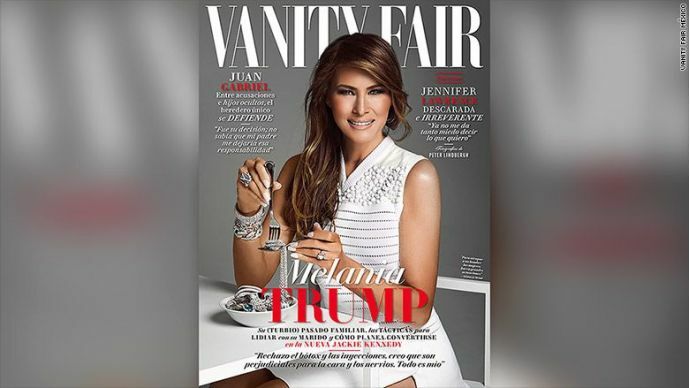 Appearing on the front cover of Vanity Fair Mexico's February issue, is a picture of Melania, dressed extravagantly, posing with diamonds on her cutlery. It should be noted that it is an old photograph taken for the GQ magazine in April last year. This comes at a very inappropriate time as US-Mexico relations have suffered a serious blow, owing to President Trump's assertion of making Mexico pay for the wall he has been proposing on the border. This also led to the cancellation of the meeting between him and Mexican President Enrique Peña Nieto. The magazine has attracted widespread censure for this inconsiderate representation, given the current state of affairs. The editorial and design board of the magazine have invited strong criticism. 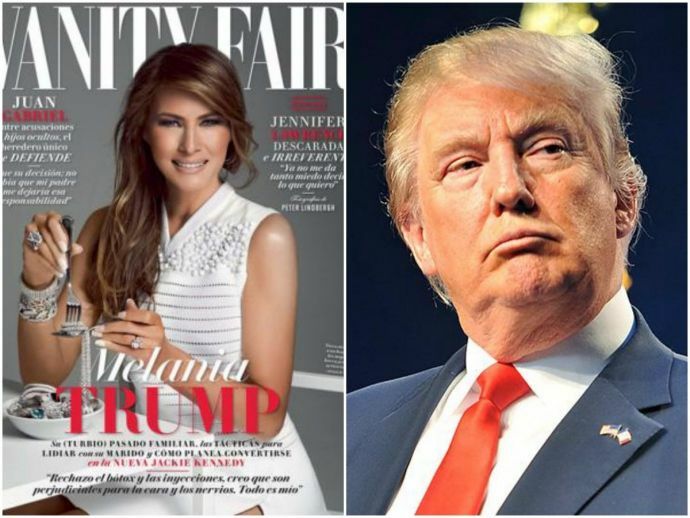 In response, Vanity Fair issued a statement saying, "We understand the complicated moment that has coincided with the appearance of our cover, but our intention is simply to contribute, as always, an independent and critical point of view about current affairs and the people involved." Needless to say, this does bode well for the First Lady, who, in the accompanying article, expressed her wish to be the 'next Jackie Kennedy'.